MainAll NewsJewish WorldAnne Frank's Betrayer Discovered? New book alleges that sister of Bep Voskujil, Otto Frank's secretary, was a Nazi collaborator who tipped the Gestapo to the Frank's hideout. A book published on Tuesday in Belgium and Holland sheds light on new evidence about Anne Frank and her family and the person responsible for their capture at the hands of the Gestapo in August 1944. The book alleges that Nelly Voskujil, the sister of Elisabeth “Bep” Voskuijl, one of the Frank's helpers during their periods in hiding, was responsible for turning the families of the "secret annex" over to the Nazis. According to the book, a biography dedicated to Bep written by Flemish journalist Jeroen de Bruyn and Elisabeth's youngest son, Joop van Wijk, never before seen testimony proves Nelly was the culprit. Based on the testimonial evidence of Diny Voskujil (a third sister) and Bep's fiance during the war, Bertus Hulsman, as well as other evidence, the authors were able to prove that Nelly collaborated with the Gestapo in occupied Holland from age 19 to 23. Nelly who passed away in 2001, was 21-years-old at the time of the Franks' arrests. Bep, who worked for Opekta, one of the businesses owned by Otto Frank, provided food and clothing to the family during their two years in hiding. Her father was the one who installed the famous "library door" concealing the hiding place. The authors claim that Nelly was angry at her sister Elisabeth and father Johan for helping the Franks go into hiding and more broadly, for their sympathy toward Jews. 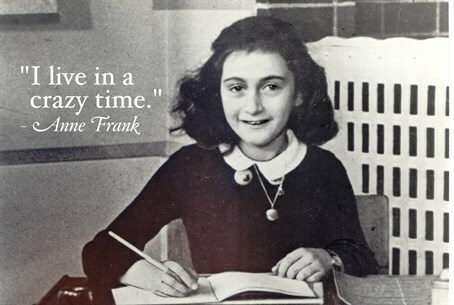 The unknown informant has always shrouded the Anne Frank story with mystery. There has been much speculation over the culprit, with a number of cleaning people suspected, but there was never indisputable proof. "Our conclusion is painful, but clear," the authors wrote.